Did Jesus have a wife? Or, if not a wife, did his mention of “wife” symbolize a greater role for women as disciples? I’ve always wondered about the proudly patriarchal Catholic church and its marginalization of women. WWJD? Would would Jesus do about a church that is so male-dominated? So proud of its prejudices and biases vis-a-vis women and their reputed weaknesses? I’m thinking Jesus would not have approved of official church teachings on women. 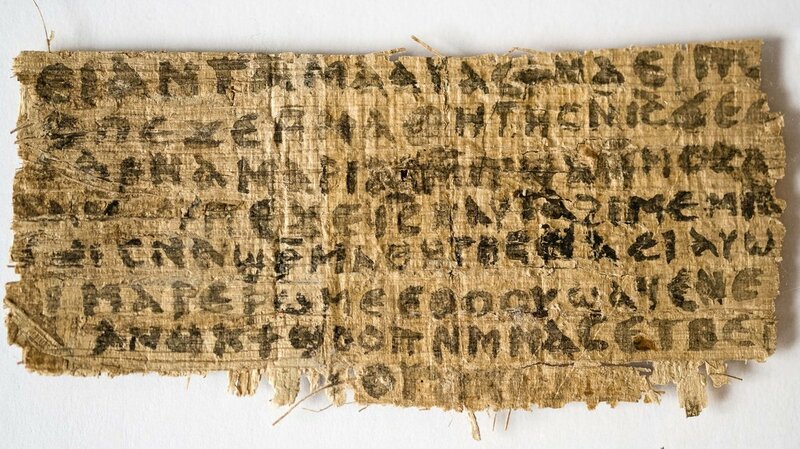 The papyrus in which Jesus mentions a wife is suggestive but not conclusive. Nevertheless, it should spur the church to reexamine its teachings on the proper roles for women within the church. Women should not be segregated in separate and unequal communities. They should be incorporated in the church as disciples every bit as equal and whole as male disciples. They should be able to become priests and to administer the sacraments. No more Adam’s rib and weaker vessel nonsense, Catholics. It seems a radical concept to a church burdened with two thousand years of woman-marginalizing tradition. But Jesus came to forge a new covenant, a new world order. It’s time for the church, at least partially, to fulfill His vision. Open your hearts, Catholics, to the equality of women within the church. By doing so, you’ll be following Jesus more nearly. Or so I believe. Posted on April 10, 2014 by wjastorePosted in Religion, SocietyTagged Catholic Church, equality, Jesus, Jesus Christ. Roman Catholics, wife. We’re waiting to find out if the new Pope is like Obama, great liberal rhetoric combined with the same old policies that keep the old order in place with no fundamental change. We noticed today the Pope’s apology to survivors of pedophilia priests but are waiting for real on the ground action. It still sounds like women will have to stand at the end of the line for redress until the church allows priests to marry and women to become priests.The church made a big mistake in overreaching to be recognized as a “political” state and thus subject to the same corruption that all political entities suffer from. Yes. Sadly, the ideal woman for the Church is the Virgin Mary, unsullied and desexualized. “Normal” women are deeply suspect to the men who run the Church, even though it’s women who are generally more observant and more involved in the day-to-day running of the Church (among the laity, naturally). Or, as the ladies can always say to the church fathers in the end: “Mother’s baby, father’s maybe.” So much for St. Joseph the village cuckold. What kind of a man could bear the shame of repeatedly hearing his so-called son wandering around town crowing about how he had a “larger” and “higher” father? How about that Mr George H. W. Bush? How does it feel?